My interest [obsession?] with the way the press report HE issues has had several items to feed it recently. I had a spat, unpublished, with John Morgan of Times Higher Education over an article on 27 March on student number allocations by HEFCE headlined ‘No bonanza for those who left places unfilled’. The story opened with the assertion that ‘the big post-92s suffer’, having proved [sic] ‘less popular’, and the third paragraph lists four of them. Then comes the table giving percentage reductions, where those with the biggest reductions are not post-92s, but Leeds, Bath and Surrey. The article comes to them in the fourth column, with a claim that their reduction was probably ‘strategic’. As a researcher, I looked for evidence of the different reasons behind reductions. There was none, since ‘figures were issued on a “no approach” embargo’ where no questions could be asked of institution staff. So, opinion, based on speculation, based on stereotypical bias, is presented as news reportage. The reporting of research demonstrating the [not new] findings that state school entrants outperform those from private schools with the same entry qualifications, mentioned the recommendation to consider adjusting offers, and produced the usual protective outcry on the web page. Nobody reported the evidence from UCAS stats that grades are adjusted by Russell Group universities, where applicants from privileged backgrounds are more likely to get an offer than those with similar qualifications from less advantaged backgrounds. Finally in this rant is the question: ‘what is newsworthy?’ In recent weeks, the Centre for Leadership and Enterprise at Greenwich has offered commissioned programmes for staff in the Nigerian Ministry of Education, including the permanent secretary, covering issues of policy on teacher development and deployment, vocational provision, standards, and school governance; and for senior staff from Ukraine – both sides of the country and the language divide – on leadership as a new Higher Education Law is developed. I thought these together were newsworthy: a small centre working with staff from countries with challenging contexts and offering good news to balance the bad. I was wrong apparently. Judged by the University as not worth a press release or even a mention in the University’s daily coverage on its web pages. There is, apparently, a ‘London effect’: had we been in Lincoln, or Teesside, or even at the university’s Medway campus, it would have been worth trying to get something in to the local press. London journalists are more blasé and world-weary, it appears, so nothing appeared. But at least you now know about it. I am due in Kyiv in October; if I get taken hostage, will that count as news? 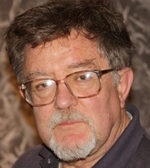 SRHE Fellow Ian McNay is emeritus professor at the University of Greenwich. Categories: And Finally, Leadership Governance & Management | Tags: Admissions, newsworthy, press reporting of HE, research | Permalink. Higher education recruitment has become a political issue. Stricter visa regimes for foreign students were implemented in April 2012. International students have fewer opportunities to work in the UK after they finish their degree, and it has become more challenging for partners of students to work and study. The House of Lords issued a report criticising the government’s immigration policy, to decrease immigration overall whilst also increasing international student numbers, and its effect on student recruitment. With the government’s stance on immigration, Britain does not seem a welcoming place for many international students. Taking a tough stance on immigration for the domestic market also sends signals abroad. Categories: Global Perspectives | Tags: diversity, immigration, international students, research, SRHE, student recruitment, student visas, visa regimes | Permalink.